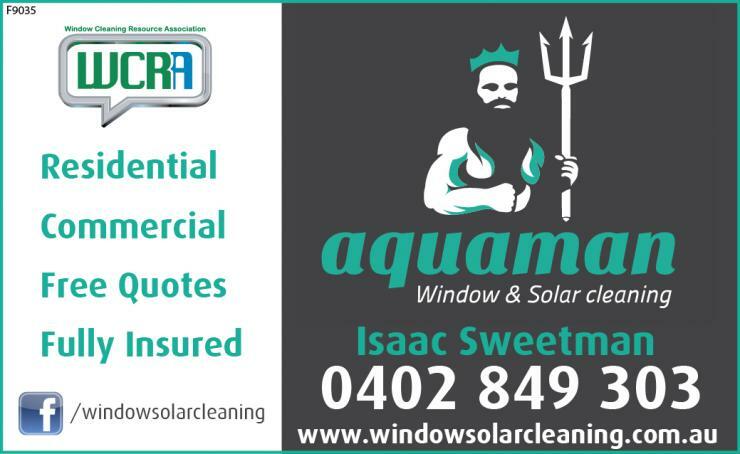 Aquaman Window and Solar Cleaning is an independent locally owned business, managed and operated by Matt Sweetman, based in Port Elliot and servicing all Fleurieu / South Coast towns including Encounter Bay, Victor Harbor, Middleton, Goolwa and Hindmarsh Island. Our specialty is in giving you perfectly clean windows and solar panels and we are ready to serve your business or home. We provide the superior customer service you expect when in the workplace or the quiet environment of your home. Window cleaning is our profession. It’s not just a job we do and we treat it that way. We are fully insured and are up to date with OHS&W and have excellent safety management plans and operational methods.